Ever wanted to walk in the presence of God and the footsteps of the ancient Saints? Feel like you want to journey spiritually with others? Want to financially support DNA? You can do all of the above! We are looking for 10-12 people to join us on a pilgrimage/ Fundraising walk along the 36 Mile St Bega’s Way. Guy and Ally will lead the walk and the spiritual reflections along the way, all through stunning scenery. – Walking boots or other walking equipment. * DNA are aiming to hire a mini bus in the London area so that anyone travelling from the South can share travel with Guy and Ally. Please do let us know if you would be interested in being included in this to keep your travel costs as low as possible. 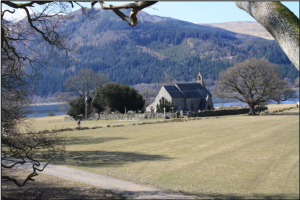 Reflections on St Bega and the Celtic saints. St Bega’s Way is a 36 mile (58 km) walk through delightful, rural West Cumbria and the magnificent scenery of the English Lake District. 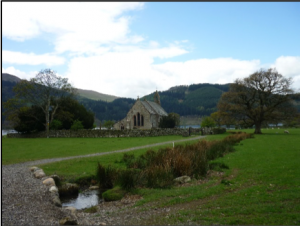 The walk takes you from the Norman Priory Church of St Mary and St Bega at St Bees, on the Irish Sea coast, to the pre-Norman Church of St Bega by the shores of Bassenthwaite Lake. Book in on your own or with a friend by clicking the link below. The first 12 people to book in along with a £100 deposit will be given the places, so be quick. We also need your commitment to fundraising with an aim of £500 each person. The more we can fundraise together, the more we can invest in the development of DNA! Arrive and stay in Ennerdale – dinner is provided. For more information about the walk, including a map an outline of each day.